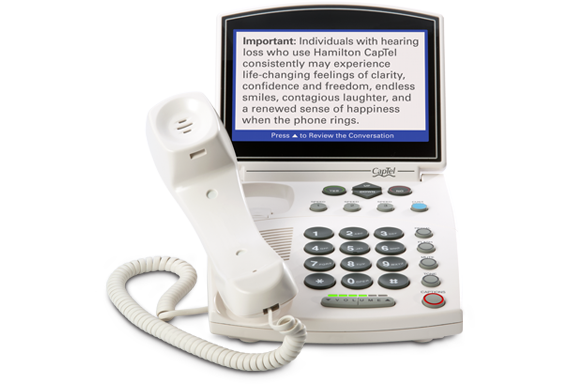 Setting up your new Hamilton® CapTel® Demo Phone takes less than five minutes – and this easy to follow Quick Start Guide makes the process simple. 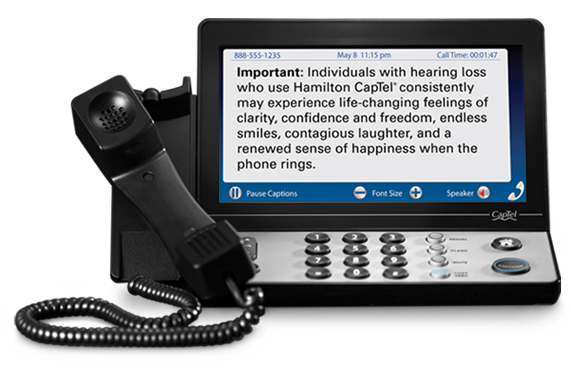 Once enabled, the screen of your Hamilton CapTel Phone will display on-screen text in the same way captions would appear during an actual phone conversation. Unbox, connect handset and included power adapter. Position the phone for easy viewing on display stand (840i only), next to brochures and certification forms. Plug power adapter into a standard wall outlet. Do Not follow the on-screen prompts. All on-screen prompts will time out (please be patient). Also do not connect to a WiFi network. Once you reach a blue CapTel screen, please proceed to Step 2: How to enable Demo Mode. Allows you to make “live” phone calls – complete with word-for-word captions. Position the phone within easy reach and tilt screen for optimum viewing. Using the included telephone cable, connect the phone to existing telephone service. Using the included Ethernet cable, connect the phone to high-speed Internet (Please skip this step if you’re connecting via WiFi). Follow the on-screen prompts/instructions as directed. Please note: Demo Mode can be enabled at anytime after the initial Live Mode set-up is complete. Simply follow Step 2: How to enable Demo Mode. Ensure power adapter is connected. IGNORE all on-screen prompts, allowing each screen to time out (please be patient). Also do not connect to a WiFi network. A blue CapTel screen will eventually appear. With the handset hung up, using the dial pad, enter “0DEMO” (0-3-3-6-6) to enter Demo Mode. Sample captions will appear on the display screen of the CapTel 840i. To exit Demo Mode, simply press the “NO” button. IGNORE all on-screen prompts, allowing each screen to time out (please be patient). Also do not connect to a WiFi network. A CapTel error screen will eventually appear. With the handset hung up, press the “MUTE” button and then using the dial pad, enter “0DEMO” (0-3-3-6-6) to enter Demo Mode. Sample captions will appear on the display screen of the CapTel 2400i. To exit Demo Mode, simply press the “HOME” button. Please note: Demo Mode must be turned off in order for live calls to be made. 3 Pause the text scrolling. Press again to resume scrolling. Pause the text scrolling. Press again to resume scrolling. 4 Force ENGLISH text and changes the sample conversation. Force ENGLISH text and changes the sample conversation. 6 Forces SPANISH text and changes the sample conversation. Forces SPANISH text and changes the sample conversation. 7 Adjust the pace at which the conversation is displayed on the screen. Please note, the pace option is only available in Demo Mode and is not a regular feature usable by customers. During an actual conversation, the pace of the captions will depend on the pace of the Captioning Assistant. To exit Demo Mode, press the “NO” key. To exit Demo Mode, press the “HOME” key. 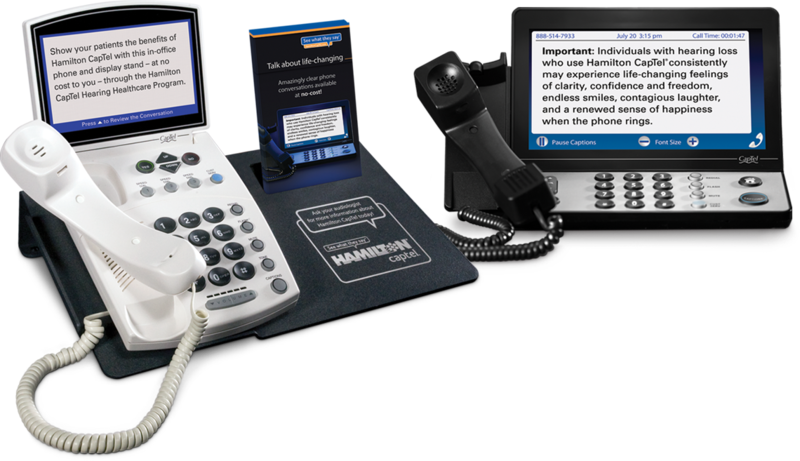 If you have questions about setting up your Hamilton CapTel Demo Phone or need further clarification, our National Program Management Team is standing by to help you. Call 800-826-7111 or contact us.